I admit having been chilled by the trade show billboards. By reading “the Number 1 trade show for creative women fairies”, I wondered if the organizers (in this case Marie Claire Ideas) would suggest that men had no place here. That DIY and craft are and remain the prerogative of solely women. Men are under-represented in needlework and sewing, I cannot argue that, but is this a reason to exclude them completely? Centuries of social norms confined women to houseworks like embroidery, sewing, knitting and decorating their homes, but can we have the same look in 2013? There are still so many preconceived ideas to fight. I invite you to read the Male Pattern Boldness blog and to enjoy the image of a male sewer. So yesterday I went to the DIY and Craft trade show hoping to cross original ideas, unusual shops and independent craftsmen. I wanted to be surprised and I truly was. Rio Fukuda, a felted wool sculptor. 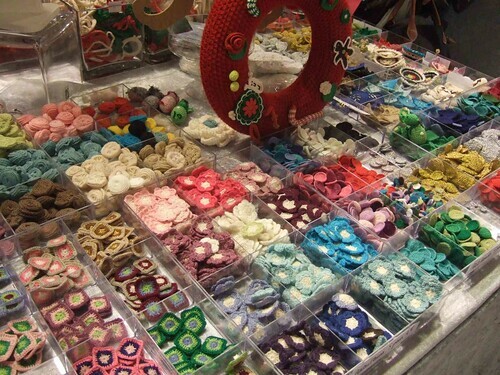 With her hands, she transforms wool balls into delicacies. 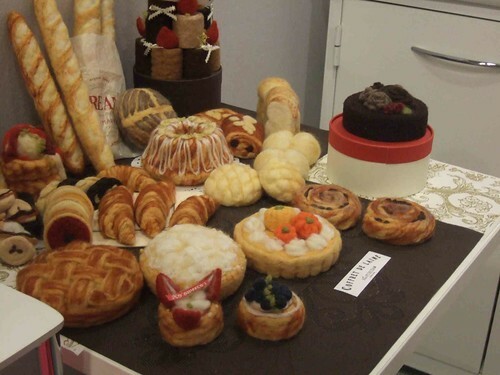 A great idea for decoration that will make you salivate.. You can see her creations on the website (in Japanese only). Her Little World, a children pattern designer. I have never bought any pattern and even less for children, this is to say that her stall really captured my attention by the colourful and original dresses. You can take a look on her catalog here (in French). Emalisa, the crochet maker. She fashions herself and with the help of a Madagascar family small objects in crochet (flowers, bows, leaves, birds, dolls) that you can use to decorate your home or your clothes. So versatile. No website yet. 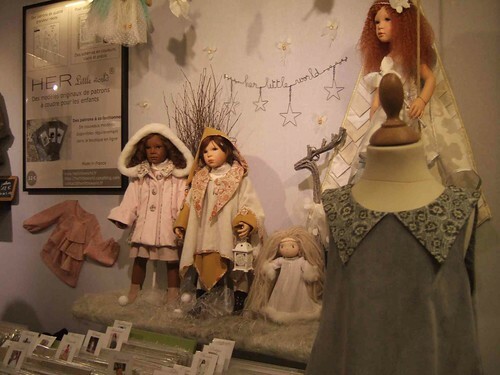 You can also meet Aime comme Marie or Deer and Doe on their stands, it is always a good opportunity to exchange with them on patterns that you have already used and to discover others. There are also plenty of haberdasheries and sewing and overlocking machines makers. You have all you need to start crafting yourself. The tradeshow lasts until November 17 at Paris Porte de Versailles. A great opportunity to make discoveries and meet with known and not so well known craftsmen and craftsladies. This entry was posted in Moods and tagged DIY, trade show.